European Inventor of the Year 2007 in the category "SMEs/research"
Traditional plastics are dirty to produce, they use up oil, and they don't decompose naturally. So are we stuck with them? No, because in the 1990s a group of Italian scientists led by Catia Bastioli found a way out of the vicious cycle and developed bio-degradable plastics. Bio-plastics can be processed just like regular plastics, but when thrown onto a regular compost heap they fall apart in weeks - not in the hundreds of years it takes traditional plastics to decompose. Made from crops, bio-plastics reduce greenhouse gas emissions and the consumption of non-renewable resources. Located some 100 kilometres north of Rome, Terni is a sleepy mid-sized city in picturesque Umbria, a region in Italy known for its olive oil and grapes. Visiting here, one wouldn't immediately expect that it is the home base of an international groundbreaker in environment-friendly technology. Terni is in fact the home of the world leader in bio-plastics, Novamont, and the product developed by founding member and current CEO, Catia Bastioli, is a revolution when it comes to its environmental qualities. Bio-plastics, which are based on insoluble starch, can be turned into a near infinite range of products, including shopping bags, disposable cups, sheet mulch and even car tires. Adding to the intrigue, bio-plastics are renewable, recyclable, reusable, and they turn into soil within three to eight weeks in a regular compost pile. By contrast, traditional plastics take 100 to 400 years to decompose (though they can also be burned, they then emit toxic fumes). With some 40 million tons consumed each year in Europe alone, the petroleum-based plastics still clearly lead the pack - to a large extent because of their lower price (Novamont's bio-degradable shopping bag costs 8 to 9 cents versus 5 cents for a traditional bag). However, bio-degradable plastics are becoming increasingly important in the wake of massive concerns over global climate change and rising oil prices. These days, Novamont, founded by a group of Italian scientists who developed the technology in 1989 while still working for plastics manufacturer Montedison, already supplies over 60 percent of global bio-plastics. The plant in Terni annually produces 35,000 tons of Mater-Bi - the heart of the bio-plastics product line - and the growth trend is expected to continue. But as impressive as today's success is, Catia Bastioli remembers very well the initial problems when she and her team developed the plastics made of starch. Back in the early 1990s, people simply did not know about bio-plastics. So Bastioli and her colleagues literally had to create a market from scratch that did not exist previously. But the breakthrough came in 1992, when the southern German city of Fürstenfeldbruck became the first municipality to test bio-degradable waste bags for its garbage collection system. 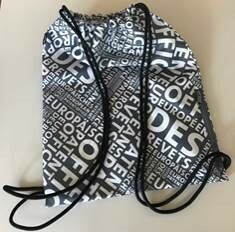 The so-called Pneo bag used in Fürstenfeldbruck performs much better than traditional waste bags. Because of its increased transpiration capability, it allows constant evaporation of the condensation, meaning Pneo slows down the fermentation processes that leads to undesirable odours. In addition, this nearly halves the weight of the waste, making collection cheaper and more convenient while easing subsequent waste separation. Since those early days, over 3,500 municipalities have followed suit and are now using the bio-degradable waste bags. That growth has also driven the development of Novamont as a whole: What started out with just Bastioli and three other scientists has now evolved into a successful medium-sized enterprise. With a turnover of €50 million in 2006, Novamont today employs some 120 people. The company still banks on innovation: Novamont holds nearly 60 patents, and says it invests some 30 percent of its resources into research and development. Looking to the future, Novamont has teamed up with several big-name companies for ambitious research projects: Working in cooperation with US outfitter Goodyear, Novamont developed the Biotred technology for tires with low rolling resistance. The Biotred tires save significant quantities of petrol (about 5 percent of fuel), diminishing greenhouse gases by seven to 10 grams per driven kilometre. Based on this success, the European Community decided to finance a new project on "run on flat" tires, a venture that involves Goodyear, BMW and Novamont. But perhaps the most exciting new endeavour at Novamont is a joint venture with Italy's largest farmers association, Coldiretti. Bastioli said the new bio-refinery, expected to be operational in 2007, will be beneficial to both halves of the bio-plastics production line. The farmers will grow their regional crops exclusively for use in Novamont's bio-plastics, integrating them into an environmentally friendly production line; in addition, Novamont gets quality crops to produce their 15 different Master-bi products. Given the widely expected reduction in agriculture subsidies forecasted for the next decade, the project is a unique opportunity for the farmers. Corn is stacked with energy in the form of starch, a natural polymer. The scientists at Novamont championed a technique that takes the polymers from starch and turns them into a substance that can be produced just like conventional plastics. Starch consists of two main components organised in flour beads. Bastioli and her colleagues discovered that both structures can be morphed together to form a complexation of specific synthetic polymers that behave like regular plastics. These droplet-like structures render the starch water-resistant. Using the process of complexing starch with variable quantities of complexing agents (natural, from renewable sources, synthetic), different supra-molecular structures are built, characterised by a series of different properties. The discovery gave rise to Mater-Bi, the first family of industrial biopolymers that uses starch by preserving the chemical structure generated by photosynthesis. Produced at the Terni plant in Italy, Mater-bi is made from agricultural substances, such as corn starch, and produced in pellet form. The companies manufacturing the shopping or waste bags simply melt the pellets and use them just as they would use regular plastics. In most cases, the bio-plastics perform even better than oil-made plastics, while also being fully bio-degradable and compostable. This ensures minimal environmental impact.